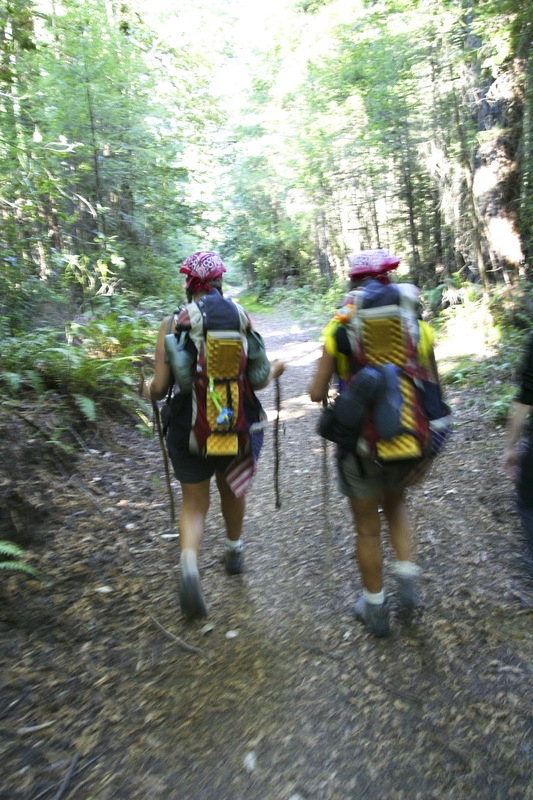 In 2006, I thru-hiked the American Discovery Trail with my awesome mom. This is how that came about! Click here for a daily journal from the hike. Almost done on the ADT. Mom and me at the Golden Gate Bridge! The day my hematologist told me I was in complete remission from Aplastic Anemia, I had one of those moments you always hear about. Call it cliche, call it an epiphany, call it crazy… whatever it was, it was a turning point in my life. I began to think about all I had gone through, where I was at the moment, and where I was headed. I thought about all of the things that made me truly happy, and how I should make those joys a priority in my life. After much thought, what I kept coming back to was my love for the outdoors and nature. I love being active, but most of all, I love getting close and personal with nature by hiking. There’s nothing in the world like it. When my feet hit a hiking trail, all my worries and stresses leave me. Next to being with my family, that’s where I’m the most comfortable and feel the happiest. I am at peace in the woods. So… now what? What do I do with that thought? Well, hike, of course! But I didn’t want to do just some weekend backpacking trip. I wanted to do something huge! I think it was a day or two after that when Adam, my husband, said to me jokingly, “Let’s just pack everything up and walk to Hollywood.” I just kind of stared at him, and said back somewhat jokingly, “Okay.” I sat silently the rest of the night — I couldn’t stop thinking about it. The next day I ‘Googled’ “Hike across America” and came up with the American Discovery Trail’s (ADT) website. I was struck. It was perfect! And so the adventures began. 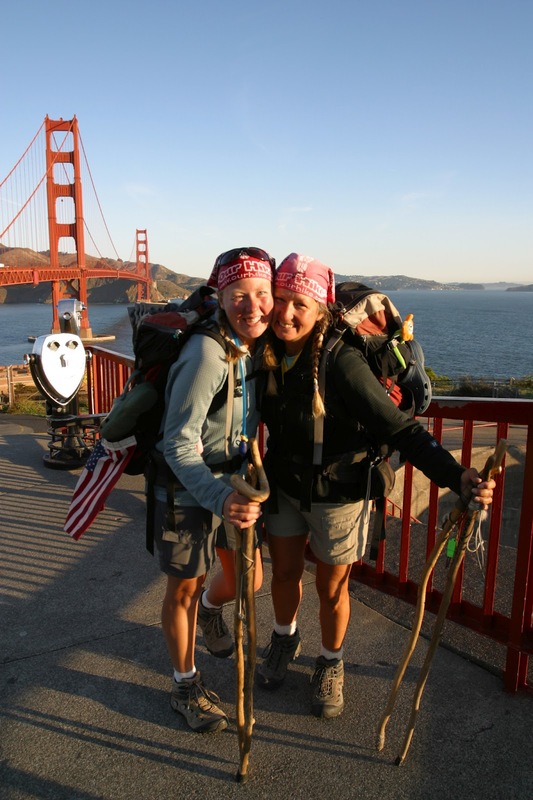 “Our Hike” Across America for Bone Marrow Disease was born. PLANNING :: I began to plan the hike. It took about two years total from when I got the idea to when we took our first steps on the ADT. I started by researching the trail, ordering turn-by-turn guides, researching gear, researching states, researching, and more researching. It was fun! Then I got in touch with Ken & Marcia Powers, who had several long thru-hikes under their hip belts, and were almost ready to leave on the ADT — so they were almost completely through their planning stages. 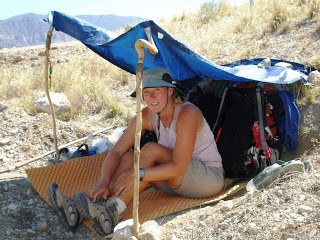 Marcia wasn’t shy about sharing all her and Ken’s tricks, tips and pointers for the hike across America. They were a huge help to me, and enabled me to focus on the important things. Gear, maps, timeframe, itinerary, budget… I prepared it all on spreadsheets. I figured it would be a long hike all by myself, so I thought I should ask someone to go with me. I had a lot of people in mind, and when I asked my mom, she immediately said, “Sure, I’ll do it.” I was a shocked, to say the least. I didn’t think she’d be so willing! Turns out she had her reasons, almost as though she was waiting for me to spring something like this on her. So, to make a long story short, we got it all together – with only minutes to spare. Literally! I was up until wee hours in the morning the night before our flight to the East coast, working on maps and plotting GPS waypoints. My mom came in at one point and asked me, “Robin, are you ready?” I replied by saying calmly with a laugh under my breath, “No.” I figured with something of this magnitude, can you ever be ready? I don’t think so — but that’s all part of the adventure. Before we knew it, there we were, standing on the beach at Cape Henlopen, Delaware, ready to start our journey. Taking refuge from the heat in culvert, which is something we did often. There’s no shade trees in the desert, and no culverts big enough for us, so we made our own shade! 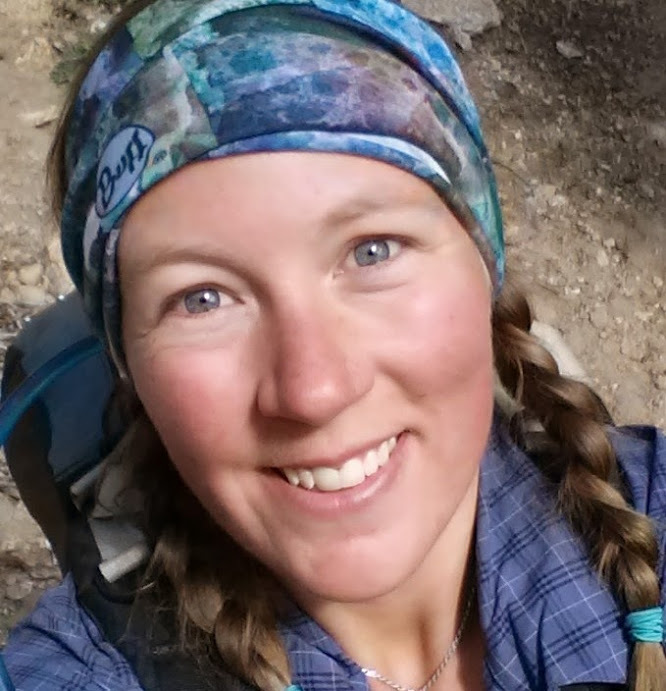 When did your start your hike? One of my concerns is avoiding tornadoes mid-west/plains. Thanks! We started Feb. 4 and did hit a few storms, but thankfully no tornadoes. I’ve never seen one, but I am terrified of them!